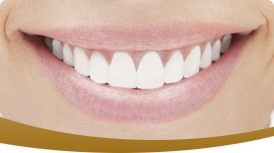 Straight teeth can enhance your smile, your confidence and your ability to succeed. At Holt Dental Care, we will work with you every step of the way to make sure that your orthodontic care is precise, comfortable and affordable. Your experience at Holt Dental Care is unique – you are not “herded” into a typical orthodontic setting. You will see the same providers every time, and you can even get your teeth cleaned at the same place. We pride ourselves on keeping your wait time to fewer than 10 minutes. We realize your monthly orthodontic visits should be built around your schedule, not ours. Our greatest pleasure is giving you beautiful, straight smile. We offer family orthodontic treatment with clear braces or lingual braces to reduce visibility, and treatment times are now shorter than ever before! For professionals or mature adults who are concerned with image, we also offer Invisalign, the latest in orthodontics. Our patients are proud of their transformed smiles. Click here to see before and after gallery.